Ellen Hart is a Minnesota based author who has written twenty previous mysteries featuring Jane Lawless and her best friend, Cordelia Thorn. 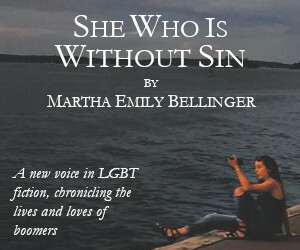 Hart writes in the gay mystery genre, however she has successfully crossed over to be popular with straight readers as well. As Taken By The Wind begins, Jane’s friends Eric and Andrew have separated, and their thirteen year old son, Jack, is struggling to deal with their separation. Eric’s sister, Suzanne Born, also lives in area, with her husband, Branch Born. Her son, Gabriel, is Jack’s best friend. Jack and Gabriel planned to camp out on Andrew and Eric’s front yard. In the morning, both boys are missing. After a harrowing twenty-four hours, Eric and Andrew call on private investigator, Jane Lawless, to investigate. The local police think the boys have just run off, but Jane fears they could have been abducted. Winfield, MN., the setting for this story, sounds like an ideal place. It’s on a lake, and surrounded by woods. There is a charming downtown area, along with streets lined with pleasant homes. As Hart continues with the story, an air of darkness enters as Eric and Andrew get ugly, anti-gay phone calls, anti gay slurs are painted on their home , and Jane notices how many of the homes have foreclosure signs tacked to their windows. Hart does an excellent job of showing how the stress of the missing boys is affecting Andrew and Eric’s already strained relationship. She also does a good job of balancing the menacing darkness with wit and humor as Cordelia deals with Hattie, her bug loving niece whom she is raising. Hart has also peopled her novel with other characters, including the seventh grade science teacher, his wife, the local police, etc. All of these minor characters are fully fleshed out, and provide the reader with many choices in suspects. When a ransom call is made, Jane’s worse fears are realized, and tension mounts as the family scrambles to find the money. Hart’s skills show as she deftly describes the ransom drop, and the resulting emptiness as the boys are not returned. Jane and Cordelia did pay sharp attention as they made the drop, and their attention to detail has provided Jane with clues to follow as she continues to search for the boys. Ellen Hart is a pro at providing readers with a tightly written, enjoyable mystery which is filled with suspense, warmth and humor. 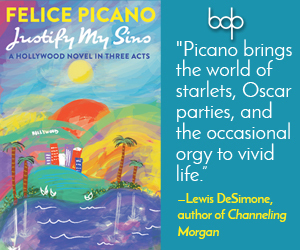 She provides readers with characters it is easy to be sympathetic toward. She gives her readers clues, suspects, and an ending which certainly surprised this reviewer! 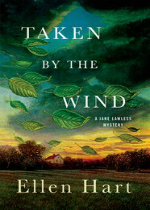 Taken By The Wind is a longer novel, at 320 pages, and yet, although Hart has included some side stories, she never lets her story line sag, or stray from the central story of Jane’s task of finding Gabriel and Jack.